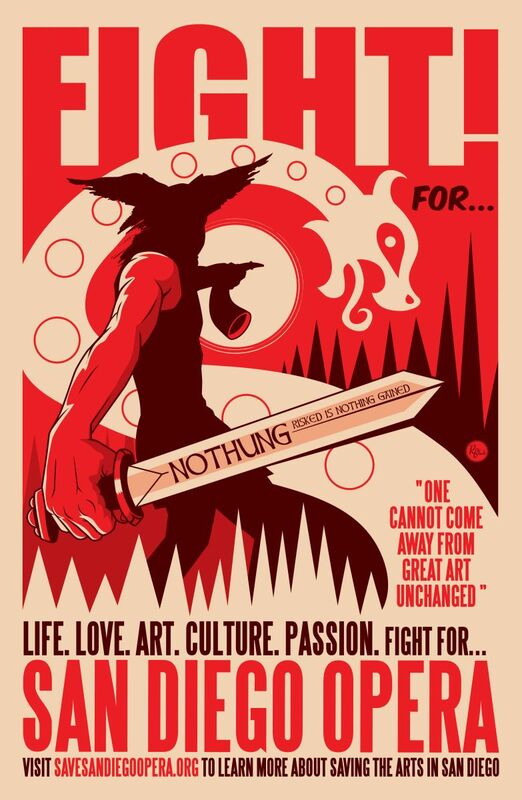 On Thursday, April 17, controversy over the closure of San Diego Opera took a startling turn when a Town Hall meeting with the theme, “San Diego Opera Moves Forward: Alternative models of Opera in America” for supporters of the company’s survival, and a meeting of the Opera’s Board of Directors, took place simultaneously. The atmosphere at the former (which I attended) was upbeat and hopeful and ended with cheers from the overflow crowd at the Civic Plaza Copper Room. The latter reportedly was chaotic and contentious and resulted in walkouts and multiple resignations from Board members, including its president, Karen Cohn. Those who have followed SDO’s journey since General Director Ian Campbell made his shocking announcement on March 19 of the company’s impending closure are familiar with the circumstances. Citing declines in ticket sales and donations, and the near-depletion of a $10 million dollar endowment, Campbell encouraged SDO’s board to shut down the company’s operations at the end of the current season, with the final performance scheduled on April 13. The board voted 33-1 in favor of Campbell’s recommendation. Volatile reaction came swiftly from company members, longtime SDO supporters and opera lovers, not only locally, but also across the entire US via the Internet and social media. 400 employees, including singers, San Diego Symphony musicians, stagehands, staff members and many more, were in danger of losing their incomes. Battle lines were drawn as San Diegans stood up to voice their opposition to the planned closure. Before long it was evident that the implications reached far beyond San Diego. In fact, the situation aroused concerns nationwide about the future of opera. Well-established New York City Opera had already closed in recent months. The Met was having labor disputes that portended possibly insurmountable difficulties. The potential demise of SDO had opened a Pandora’s box of fear and worry among opera aficionados. So many people love opera; how could this beloved art form suddenly be poised on the chopping block? However, it also became clear that SDO was not going to go down without a fight. The crusade to save the company has received almost daily coverage from local media. A group of employees, staff and opera supporters formed a “White Knight Committee” (WKC) to fight the closing and to pressure the board to rescind its decision. 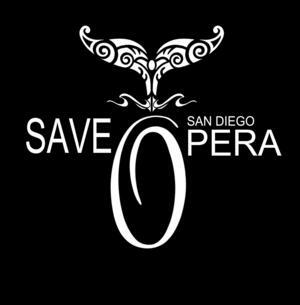 Via emails and the Internet the WKC called for opera lovers to sign an online “Save San Diego Opera” petition; over 20,000 signatures signaled an overwhelming desire to keep the company alive. Company singers filed a lawsuit to force SDO to submit arbitration over their contracts. Little known facts about the company’s financials began to circulate. Campbell was mercilessly criticized for giving up on the company, and for drawing a salary that was inordinately generous, given the company’s financial precariousness. The high-rent penthouse SDO offices were cited as exceedingly posh and expensive. Clearly, if the opera were to survive change was needed, in the form of economizing, cutting down expenses, and choosing new leadership. The WKC and its proponents insisted the opera was salvageable and mounted a persuasive campaign to prove their hypothesis. Nightly features began to appear on local San Diego TV stations. 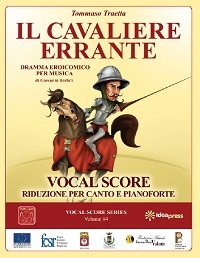 “Can the Opera Be Saved?” was a recurrent theme in the media, one of many arias that were being composed in the opera within an opera of the company’s saga. Soon, public outcry motivated a pressured Board to extend the closure deadline to April 29. 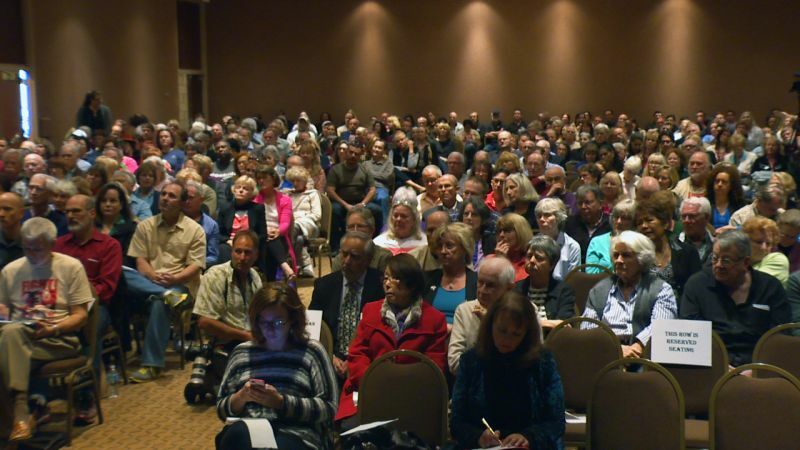 The “Save SDO” movement gained momentum at an accelerated pace, resulting in the April 17 “San Diego Opera Moves Forward” Town Hall Meeting at Civic Plaza. 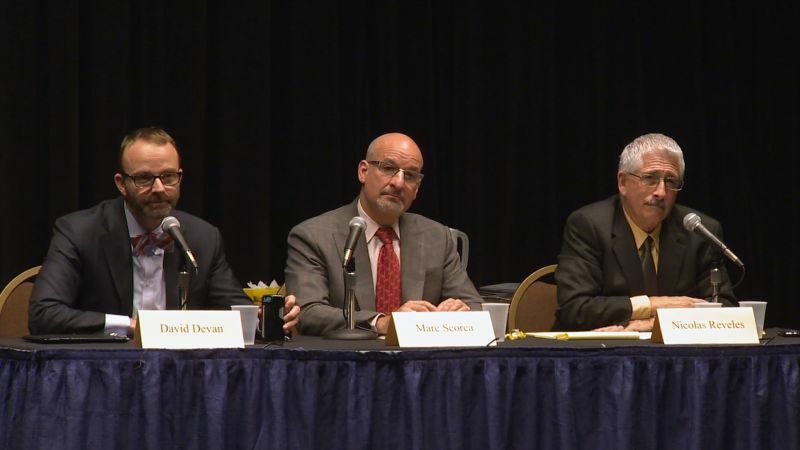 420 attendees in the Copper Room and numerous others who watched via live stream on monitors in the hallway listened carefully as three opera-expert panelists discussed viable alternatives to keep SDO alive. Nicolas Reveles, the Opera’s Geisel Director of Education and Outreach and well known to San Diego opera aficionados as the company’s superbly knowledgeable pre-opera lecturer, moderated the discussion. Presenters Marc, Scorca, President and CEO of the national organization Opera America, and David Devan, General Director of Opera Philadelphia, informed the audience as to the types of business models that other US opera companies have implemented to bring opera into the 21st century. 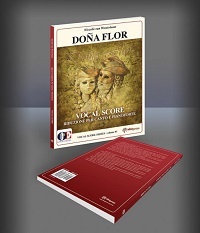 Reveles started by defining opera. 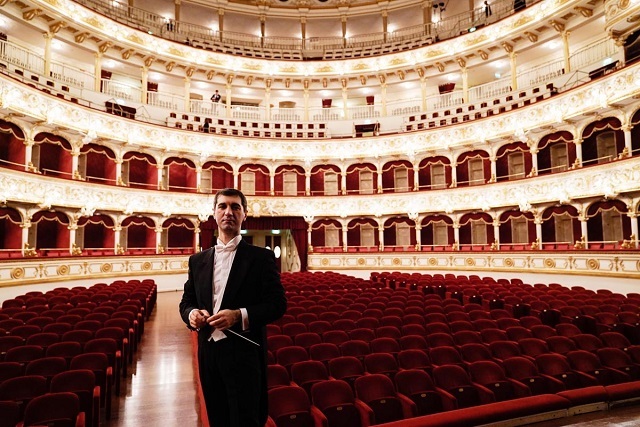 Grand Opera in a 3,000-seat theatre no longer was relevant to SDO, he claimed. 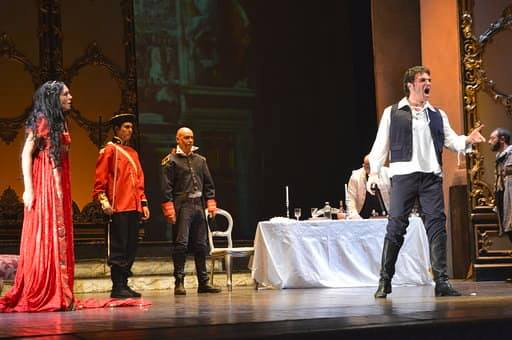 New business models using smaller theaters and different types of operas such as musical theater, Baroque operas with smaller casts and orchestras, and Mexican-themed operas such as Cruzar la Cara de la Luna, which was performed in the 2012-2013 SDO season, were necessary to enable the company to adhere to the realistic budget realities of our times and to attract audiences. 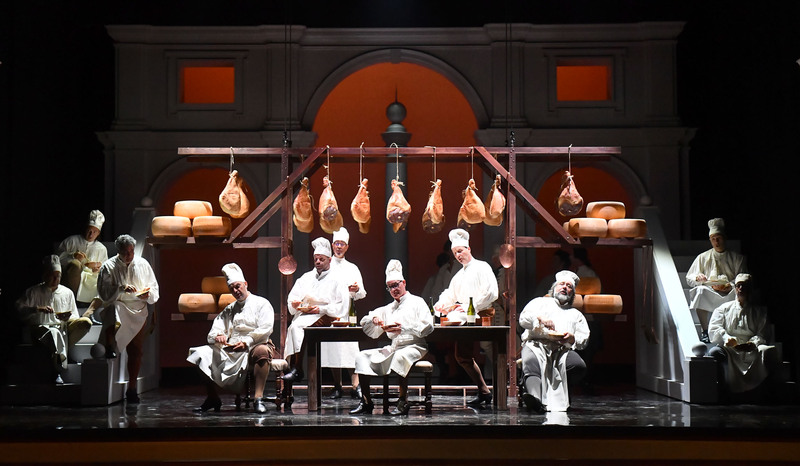 Opera is an art form that tells stories in music, using classic issues involving community, politics, and (audience laughter here) political corruption. 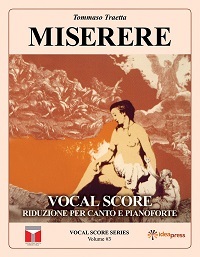 Scorca cited difficulties in the state of opera over the past decade: increases in the “Opera Price Index” of two to two-and-a-half times the cost of living increase; a decrease in audience attendance of as much as 24% in top-level companies; more sophisticated audiences resistant to subscriptions; competition for audiences in entertainment and philanthropic dollars. Nonetheless he gave examples of a positive nature. 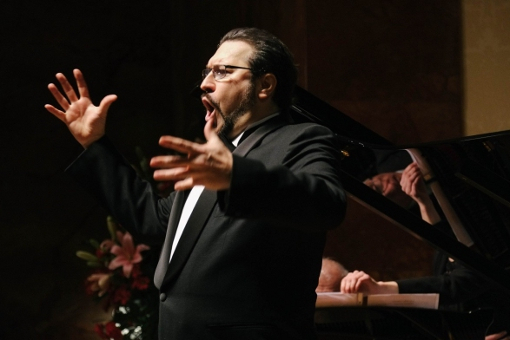 In recent years the number of opera companies across the US has increased from 120 to 500. 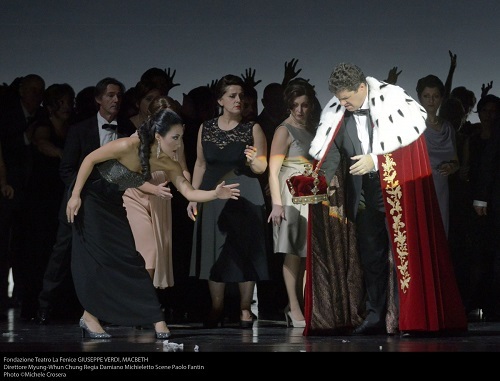 Opera is now a multimedia art form; young artists of unprecedented high quality are creating their own companies and finding donors. Specialty companies are commissioning new works. Smaller venues are being balanced by HD transmissions in stadiums. Companies such as Dallas Opera, which cut back from five to three productions, are now able to slowly increase the number of productions while still reducing costs. Devan presented a similar view in what amounted to a much-needed pep talk for a crowd hungry for good news. He pointed out that, just as Philadelphia was not New York, San Diego was not Los Angeles, and needed to come up with its own unique “SDO plan.” As a smaller city, Philadelphia had faced a challenge he called “subscriber crisis.” Opera, competing with such media as Netflix, was a waning model, too costly to remain the same, an art form that needed to reach beyond the opera house, with a civic footprint as important as its product footprint. Philadelphia Opera reinvented itself by creating partnerships in innovative co-productions with such established musical entities as the Philadelphia Orchestra and Curtis Institute of Music; balancing major opera performances in large venues with chamber operas in smaller venues; creating a Composer-in-Residence program; broadcasting at Independence Mall; and fueling innovation by asking people to commit to investing in new ideas through a “Venture Philanthropy” concept. These efforts have garnered numerous positive results, including an increase of 24% in ticket yield among the coveted 25 to 34 age group. He emphasized that “Version 2.0” for San Diego would necessitate a long-term plan. The enthused listeners seemed more than willing to devote the time and energy needed. As the meeting ended, news filtered in via text from the Board meeting. Board President Karen Cohn had resigned along with twelve other Board Members. Ian Campbell and his former wife Ann Spira Campbell had walked out prematurely. A cheer emanated from the crowd when it was announced that the San Diego Opera Association had deferred its previously announced April 29 date for closure of operations to at least May 19, to permit the reconstituted Board and the Special Committee led by Board secretary Carol Lazier to explore opportunities to continue the Opera Association’s mission. Later news revealed that Lazier, who earlier this month had donated $1 million to explore new ways forward for the opera company, was named acting board president. 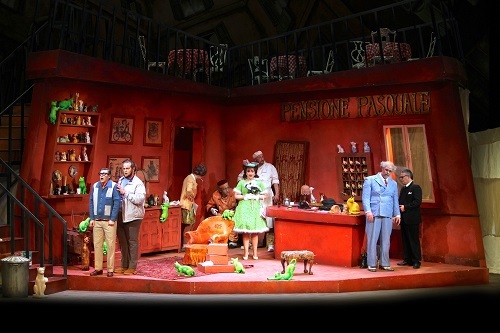 New hope emerged for a retooled, “fiscally responsible” 2015 SDO season, with advice coming from outside experts including Opera America. 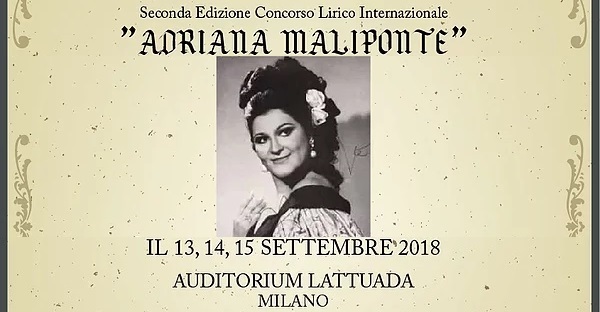 A meeting of the Opera Association Members is being organized for the near future. 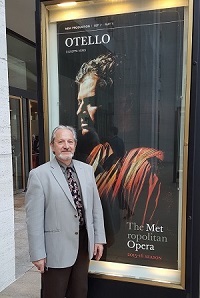 This entry was posted in Article and tagged Carol Lazier, Erica Miner, Ian Campbell, Nicolas Reveles, OPERA America, Opera Philadelphia, San Diego Opera, San Diego Symphony. Bookmark the permalink.